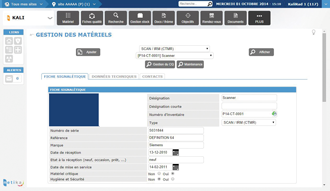 This module enables the management of all the equipment and the related information. Technical files, the purchase data, the type of equipment, the associated parameters, the enclosed documents, etc. This feature ensures that the equipment is working well. 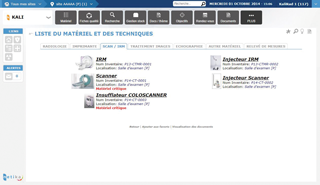 This feature enables you to watch the temperatures via different software interfaces: Labguard, Evisense, Oceasoft, Sirius, Thermo-server and Cobalt, Thermotrack, Vigitemp.